Well, hi there everybody! Come on in and relax. I’m Karen, The Journey Girl and I write about adventures and journeys and everyday life. Plus, I’ll be sharing with you sewing, cooking, crafts, household tips and showcasing some of my awesome talented friends who can do, and create just about anything. 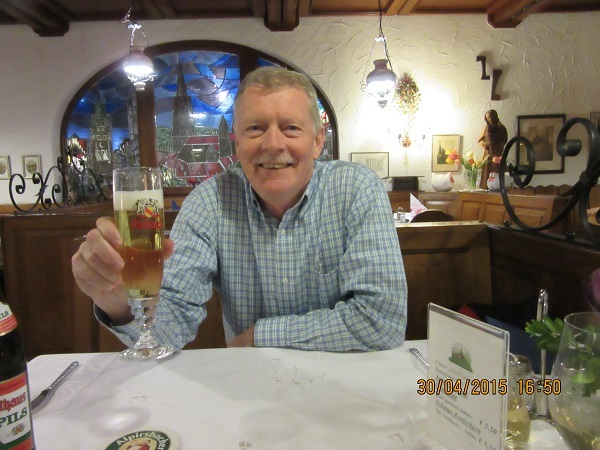 Right now I am on this fantastic, year’s long adventure in Bavaria, Germany and I’ll be sharing what I have found life to be like here. It’s an experience I am privileged to have and I’ll never forget it! I’ll also talk about my life back in the tiny frontier town of Republic, Washington where my hubby and I will be returning to at some point. Thanks to the internet, I feel I’m living a dual life as I can talk to “home” in real time from the dining room table here in Bavaria. Let me introduce the Cast of Characters. There’s my handsome hubby, Dan who patiently endures my zany stories about my zany man. He’s the reason we are living in Germany. His mission is twofold, working hard and sampling good German beer. Gracie, AKA my Big Girl. 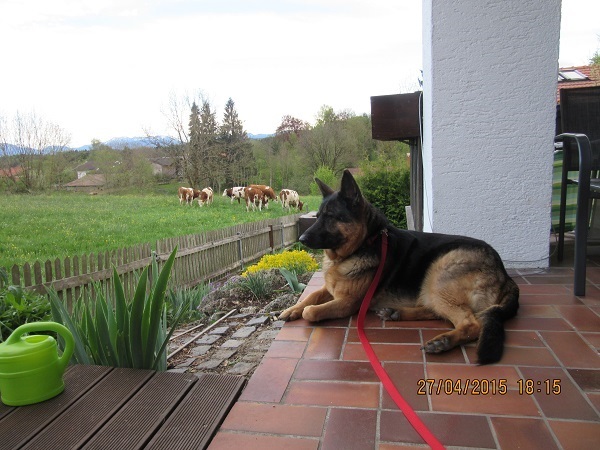 We adopted Gracie, our German Shepherd, back in 2010 and brought her with us to Bavaria. That in itself is a story! She is now the presiding Princess Grace of the Deck where she loves spending hours surveying her Queendom. Then we have Bandit, our silky long haired domestic cat or “Katz.” She is also known as Kit Kat, Tripod, Miss Priss, Ms. Bandita and Hop along. Bandit was one of our barn cats back in Republic who met with a horrible accident and had her right front leg amputated. That, in itself is a story!! Bandit demanding, sweet,cuddly and aloof, all withing 10 minutes. She is one heck of a spirited, rambunctious, wild woman who is incredibly spoiled and rules the roost! Bandit, our 3 legged wild woman! And then there is Otto, our crazy, fun loving, ball playing “Mr. 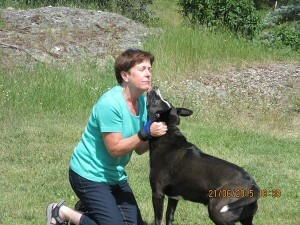 Personality,” Pit Mix who is being lovingly spoiled by a wonderful young woman back in Washington. 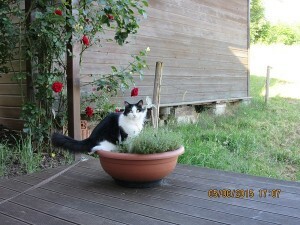 Due to his breed, we found out too late, he was not able to reside in Germany. And THAT is yet another story. But, we keep in close contact and he sends us pictures regularly. We had a wonderful reunion this past June, and yes, I cried. And yes, we had to leave him again but his step Mom adores him and that means everything!